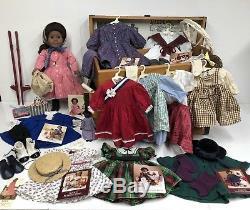 ITEM: LOT of Pleasant Company American Girl Doll Addy Walker - Original (Pre-Mattel) with Many items. 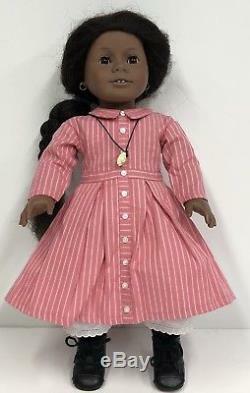 Addy Walker, born in 1864, was the fifth doll added to the Historical line by Pleasant Rowland. 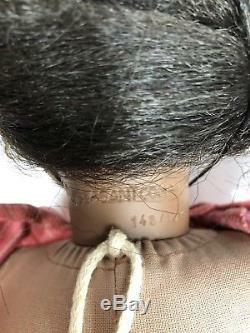 Her character is a fugitive slave who escapes with her mother from a plantation in North Carolina to Philadelphia, PA, during the American Civil War. CONDITION:Everything in excellent condition. 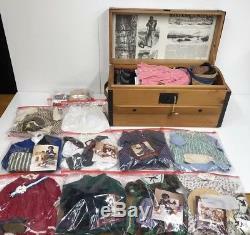 See photos of all of the items listed below. 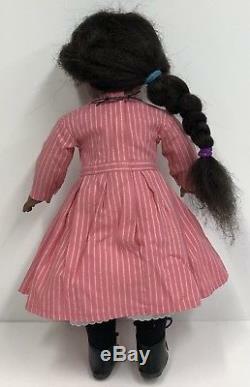 Addy Doll - she is wearing Meet Outfit & Accessories. Stamped Pleasant Company on back of neck (see photo). Includes Phamplet, Trading Card and Foldout Addy Book. Addys Classic Outfit/First Edition Meet Outfit. Her ears are pierced with small gold hoops. Kerchief tied as a knapsack. (Missing the Half-Dime and Gourd). 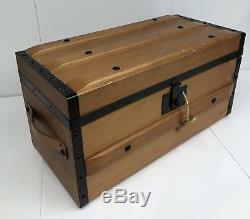 Beautifully made heavy duty wooden hinged box. Storage area in bottom with a divider. 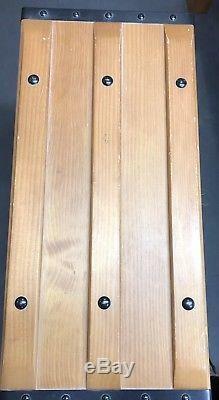 Wooden Tray can be used for bed. Green and Red Tartan Dress with Fringed Belt (aka Addys Christmas Dress). Green Coat with Blue and Purple Plaid Tartan Trim and Detail. Blue Velvet Hat with Ribbon Tie. Purple knitted Mittens connected with yarn string. Purple and White Tiny Windowpane plaid with Green and Blue Tartan plaid trim and Detail. Dress: White with Pink Flowers & Green Leaves, Pink detail waistline, Ruched Bodice. Straw Hat with Black and White Checked Ribbon - with chin elastic. Blue Jacket with Metal Pin. Red Dress with tiny white Polka Dots. White Laced edge and skirt detail. 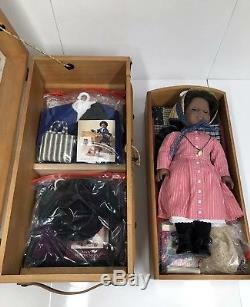 Blue and White Sash with Bow with Abraham Lincoln photo in center. Hoop Skirt Pleasants Patented Frames one of the supports is not connected, but cant see if or where it was to be sewn. Still fits on doll to hoop out any dress. Cream Blouse with Brown Rick Rack trim. Cream and Brown Checkered Pinafore with Pockets. Woven Nubbie with Yellow Bow. One in traditional historic colors. One in red white and blue. That means I take the extra time to pack the item in a suitably-sized carton or envelope with plenty of padding. 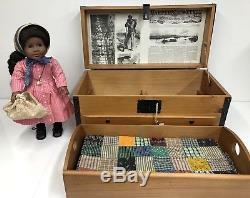 The item "Pleasant Company American Girl Doll Addy Walker, 10 Outfits, Wood Trunk-Original" is in sale since Tuesday, December 4, 2018. 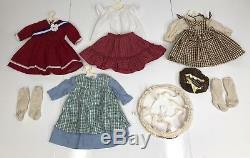 This item is in the category "Dolls & Bears\Dolls\By Brand, Company, Character\American Girl\Addy".